Welcome to www.322-Conchester.com. Year two of construction to double the capacity and improve safety on U.S. 322 (Conchester Highway) in southwestern Delaware County is underway between U.S. 1 (Baltimore Pike) and Clayton Park Drive in Concord Township. Under the much anticipated U.S. 322 (Conchester Highway) Improvement Project, PennDOT is widening, rebuilding, and in places, realigning U.S. 322 (Conchester Highway), and improving 15 intersections and two interchanges along a well-traveled, corridor extending 6.7 miles from U.S. 1 (Baltimore Pike) to just east of Route 452 (Market Street) in Concord, Bethel and Upper Chichester townships. The improvements will be completed under three main construction contracts, Section 101, Section 102 and Section CSX. The project addresses the immediate issues of traffic congestion and safety by widening U.S. 322 (Conchester Highway) from two-lanes-to-four, by separating eastbound from westbound traffic with a grass median, and by managing access with improvements to the intersections that channel traffic to and from the busy arterial. Section 101, now under construction, will widen U.S. 322 (Conchester Highway) from two-to-four lanes, with eastbound and westbound traffic separated by a grass median and turn lanes at intersections, from U.S. 1 (Baltimore Pike) in Concord Township to just east of Clayton Park Drive in Bethel Township. Nine intersections within the Section 101 work area also will be reconstructed and/or improved. Section 102, which remains under design and is scheduled for construction in 2019, will widen U.S. 322 (Conchester Highway) from two-to-four lanes, with eastbound and westbound traffic separated by a grass median, from east of Clayton Park Drive in Bethel Township to Cherry Tree Lane in Upper Chichester Townsnship. 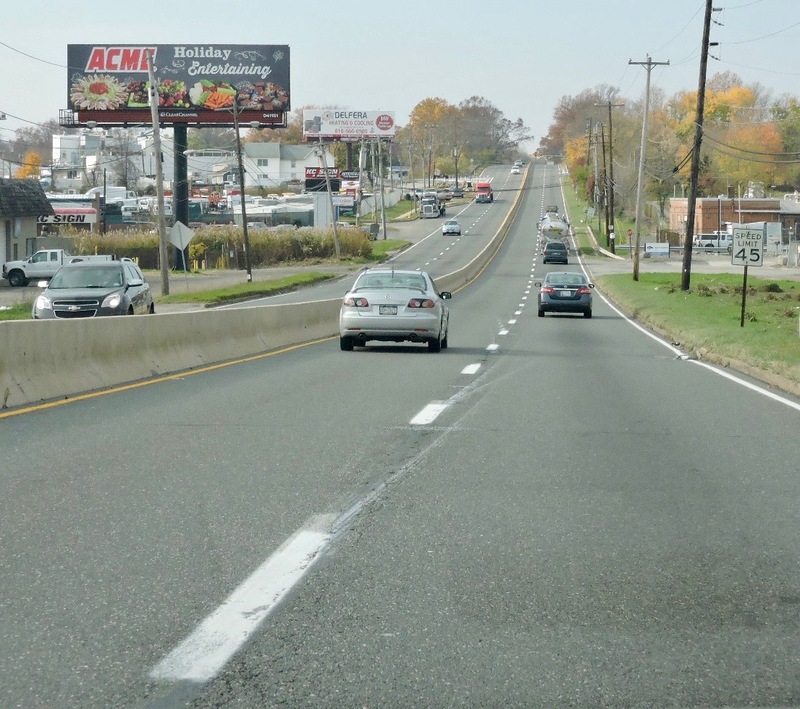 The existing four lane segment of U.S. 322 (Conchester Highway) from Cherry Tree Lane to just east of the Route 452 (Market Street) Interchange also will be reconstructed. Six intersections within Section 102 as well as the Foulke Road and Route 452 (Market Street) interchanges will be rebuilt and improved. In addition to Section 101 and Section 102, PennDOT will replace the bridge carrying U.S. 322 (Conchester Highway) over CSX Railroad and Bethel Road in Upper Chichester Township. The bridge will be replaced under a separate contract that is not yet scheduled for construction, Section CSX. A separate contract (Section MIT) also has been underway since fall 2016 to develop a site for relocating a PennDOT maintenance yard and to construct wetland mitigation sites for the U.S. 322 (Conchester Highway) corridor. 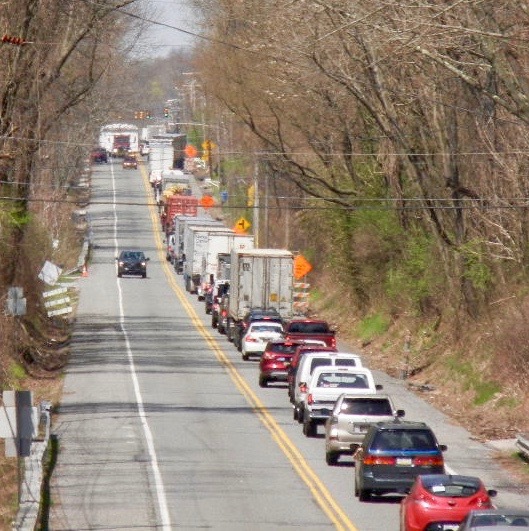 As we work toward widening and improving U.S. 322 (Conchester Highway), we’ve updated us322-conchester.com to enhance your on-line experience. Here you’ll find everything you need to know about the project, including information on the ongoing design of Section 102 and Section 103, as well as detailed graphics of coming intersection improvements. Stay current with ongoing construction and its impact on your travels by subscribing to receive Travel Advisories, Construction Updates and other project news via email or text message. So bookmark us322-conchester.com and check in regularly as we improve travel and safety on one of Delaware County’s U.S. 322 (Conchester Highway). And please, buckle up and drive safely and distraction-free every time.